custom ear muff can be worn in three positions. 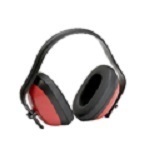 manufacturers and workplace safety products suppliers in Taiwan. helmets, industrial gloves, face shield and etc. Further, we can give you not only competitive price but also quality service to meet your needs. If there are some item is in your needs, please provide us the quantity is in your needs we will quote the best price for you immediately. Any question or suggestion please do not hesitate to contact us. Superching is your most reliable industrial protection products and construction protection products supplier in Taiwan.